Our Ultra IC00's are high quality Insert Cables made with Gepco 2 pair cable. The standard configuration is 1/4" trs to 2 1/4" ts. Tail length is 6". 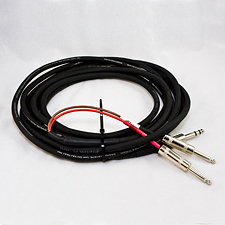 Optional 1/4" trs to xlr is available as well as longer/shorter lengths. Please select from the options.